The winter edition of The Coffey Audio Files is available for download here (pdf read link). President Glenn Sanders remarked, "Zaxcom is excited to recommend the Sanken COS-11D for use with our TRX series of wireless digital recording transmitters. 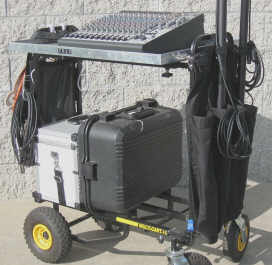 The COS-11D, with its immunity to RF interference, provides the audio quality that sound mixers have come to expect, while Zaxcom's digital wireless technology ensures transmission quality that is equivalent to that of a hard-wired connection..."
No word yet on which of the two companies will have the cooler super-hero costumes, though my money's on the Big Z. The plan offered by Lectrosonics allows owners of current generation products in these blocks, including SM Series, UM400-type, UH400-type, UT, LM-type, IM and MM400-type transmitters, and UCR411-type, UCR401, Venue-type, SR-type, UCR100 and R400-type receivers to have the frequency block changed to a lower range for a nominal fee. ...AKG announced a trade-in program for customers of any brand of wireless system that operates in the over-698 MHz range on its popular WMS 450 system. This rebate program gives customers a $100.00 instant rebate when they trade-in their “700-MHz” wireless system against the purchase of a WMS 450 from a participating contractor or retail dealer. A $100.00 mail-in rebate is available via a downloadable PDF form for new customers when purchasing the system from a participating online or catalog retailer. Lectrosonics press release, via ProSoundNews. Federal Communications Commission Chair Kevin Martin's campaign for a free, smutless, wireless, national broadband service for the people opened a new chapter on Friday with the release of a public comment cycle on the plan. The agency's Further Notice of Proposed Rulemaking (FNOPR) advocates "public access to free, nationwide, high-speed wireless broadband Internet services using a portion of the winning bidder’s network in the 2.1GHz Advanced Wireless Services (AWS) spectrum." Free wireless broadband? Spectacular, assuming it happens. "Smutless"? Futile, for many reasons, not the least of which is that there is no legal definition of what constitutes "obscene" ("knowing it when you see it" notwithstanding). Attempting to create a catch-all filter will be a waste of time and taxpayer money. 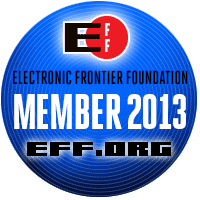 First, most filters are easily circumvented by today's teens (witness the ongoing efforts to prevent students from accessing social networking sites on school computers). Secondly, if the filters are set too stringently, they may end up blocking legitimate health education sites (by preventing anything with the word "breast" from being accessed, for example). All of this just gets my inner curmudgeon up in arms. I can completely understand parents wanting to be able to control of what their kids surf on the net, but not at the expense of my own access as an adult. Personal responsibility has to factor in here; if you are that concerned, then put the computer in the living room so that you know what sites your kids are visiting. If you can't trust your children to use the net according to your rules, then take away their mobile device and replace it with a bare-bones cell phone. If you're worried about the computers at school, address your school board. People want the world to be re-oriented around their own children, and the rest of us are expected to be ad-hoc babysitters, making compromises so that some of these parents out there don't have to face the burden of watching their own kids every single minute. Unfair, but also unrealistic. The world can be a dangerous, dirty place, and try as some might, you can't bubble-wrap it and call it good. Parenting, like most of life, requires patience, common sense, and above all, follow through. This means learning how to properly use that big ol' scary computer. It means becoming a more sophisticated web surfer in your own right, so that you can pass that tech wisdom on to your kids. Finally, it means communication, which is what the net is all about. Talk to your kids, about computers, about adult material, about whatever they're doing when they're online. The only people qualified to know what's best for your kids is you, parents. It may be intimidating, but the internet is an undeniable part of our modern world, and kids need to be taught how to use it responsibly. You will be better at determining what is and is not appropriate for your kids than any filtering software ever devised. Our unique Boompole Apron attaches to the side of your cart and provides storage sleeves for up to four boompoles, antennas, or small stands. 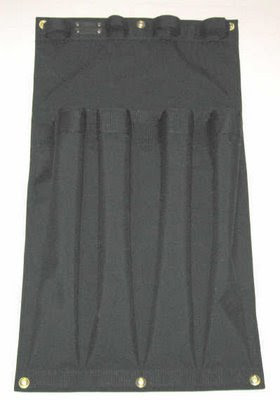 Because it is made of rugged cordura fabric, it weighs almost nothing and folds flat. Currently, I just use a cheapie bungie cable to strap the boom to my cart, but this is only practical when it's stationary. If you need to wheel around to get closer to the next setup, or move out of the way of lighting equipment (which inevitably happens), it gets a little wonky. An apron like this seems like the most practical way to store booms, short of a far more expensive custom-built cart. 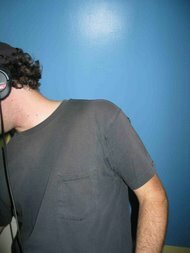 Anything above the lightest breeze necessitates a blimp- or zeppelin-style microphone suspension, which surrounds the mic with a volume of air that is kept at low velocity, while still allowing enough motion to proved a good, clear pickup of intended sound. This is generally achieved by building a semi-rigid plastic frame, lining it with silk or some other acoustically transparent fabric, and pairing it with a slip-on cover with longer fur, for even heavier winds. All in all, the RODE Blimp seems to be a very good value. While slightly heavier and possibly a little less refined in appearance than the most popular brand of zeppelin there are some good ideas at work here. Owners will be satisfied with the performance and the economics of this windscreen system. The K-87CC extends to 7′3” (221cm) and can be compressed to 1′10” (56cm). 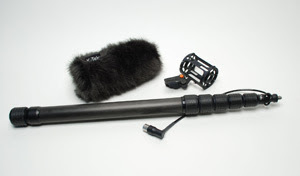 Crafted of high-density graphite fiber, the pole offers the same great benefits as the top-of-the-line Klassic 5-Section Boom Pole series...The K-87CC comes outfitted with an internal coiled cable and a bottom XLR connector. The K-Mount microphone suspension (K-MT) offers users both the ruggedness of a shock mount and the isolation characteristics of more expensive suspension systems. The system features K-Tek’s unique 4-point polymer microphone suspenders (K-SUS) fitted precisely into a handsome cylindrical aluminum frame. The K-Tek Slip-On Fuzzy combines a high-quality faux fur exterior with a tightly woven fabric backing — making it the only slip-on windscreen with an extra layer of wind protection. 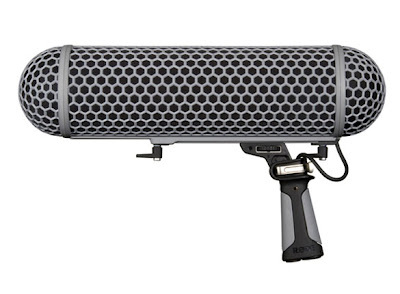 Users have a choice of a small, medium or large windscreen to fit a multitude of microphones. Purchased separately, these items retail for $685.00. K-Tek is offering the Klassic Traveler Kit at a package price of just $575.00. Shure has started a rebate program of up to $1,000 for the trade-in of Shure 700 MHz frequency band (698-806 MHz) wireless systems and other related components purchased before February 1, 2007--and for any other manufacturers' qualifying 700 MHz frequency band wireless systems and their related components. The part about "other manufacturers" is interesting, although there's nothing specific on Shure's website about who qualifies.